I totally spaced out getting this posted on October, 31st. It is the final posting for the Capture Your Grief project. I hope you have enjoyed the last month of posts dedicated to Pregnancy & Infant Loss Awareness Month. Thanks for your support, prayers, and thoughts for us as we go through this journey to start a family. We truly appreciate it! Gucci/Ray Ban GIVEAWAY on my blog, I hope you want to join! 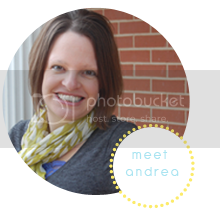 Andrea--thanks for sharing your heart and your life. What a healing process this project has been. I am truly very sorry for the heartache and hurt you two have been thru. We had a miscarriage between our two girls--while we were on vacation in Florida--and I vividly remember the tremendous feelings of pain and loss of that little wanted child. I especially remember the extreme of emotions I went thru when others around us were pregnant (that was so very painful..and yet had to put on the "happy face") and when we finally got pregnant again ("will this one miscarry too?") Please know that you are in my thoughts and prayers!! Hi Andrea! I'm a new follower from the walkabout. I have been through 4 miscarriages and it never gets easier. Hugs! !